Noche en Blanco Tenerife tourist news. The Noche en blanco White nights with special Tenerife nightlife can't be relied on by recurring dates. Yet, there seems to be kind of a pattern. Santa Cruz de Tenerife and a full moon. 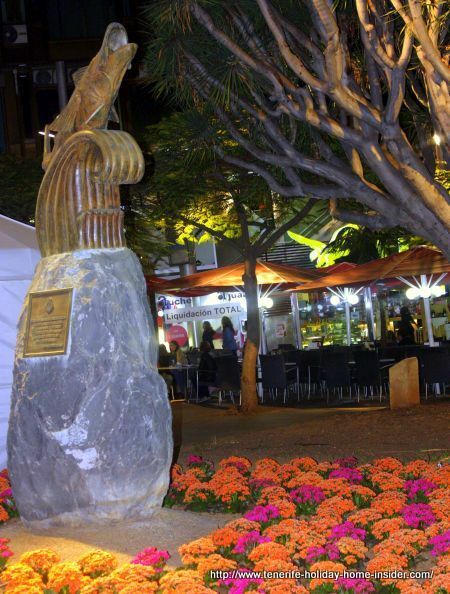 Noche an Blanco Plenilunio by Plaza Alfarez Provisional with a Total Clearance sign by Restaurante El Aguila on April 23 of 2016 in the Tenerife capital. Look at Santa Cruz the Tenerife capital which celebrates the same event as Plenilunio. It sets a date according to a full moon. We heard about it for the first time on September 20, 2014. 2016 Santa Cruz celebrated its festival of the cold planet twice on the 23rd of April as well as on September 12. The night of the full moon of October 7th was chosen in 2017 which was the seventh repetition. It would be interesting to see how the full moon matched other years. 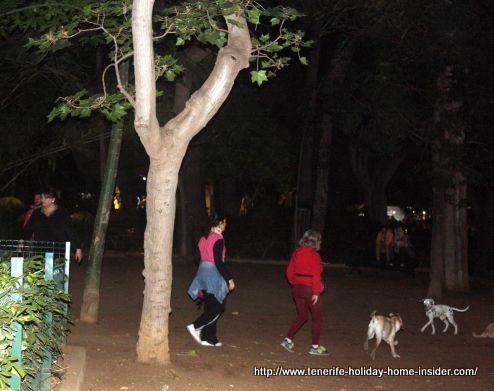 A full moon Plenilunio on April 23,2016 at Parque Garcia Sanabria lets dogs with their owners enjoy special nightlife at the park in Santa Cruz. Noche en Blanco Puerto de la Cruz. Also, Puerto de la Cruz had seven different white night events so far by 2017 that did not go by the moon. They always occurred from Autumn to early Winter to curb on Christmas sales. However, beginning of November would make most sense for holiday resorts like El Puerto. Why? The migrating bird tourists who arrive from the North of Europe have usually arrived by then. When does Noche en Blanco never feature? Of course, it will never take place during important holidays, such as the Easter week, the July Fiestas del Carmen, Fiesta San Juan, San Andres and other regular festivals, such as Romerias. Güimar scheduled it so far on December 12, 2015, December 17 of 2016, December 02 of 2017. Previous events are not noted here. When La Laguna changes white night dates. La Laguna the town who started this nightlife entertainment in Tenerife doesn't seem to change the agenda for it drastically. Nevertheless, it switched it from all previous eight events from end of November to the beginning of that month. Most probably, as rain seems to happen later. However, be on the safe side and check on its time table always. There were no problems on November, 28 of 2015 nor on November 04 in 2017. Rain caused postponements of street celebrations of November 29 of 2014 to December 06. Entertainment of November 26 of 2016 had to change to December 06. About White nights in general with Puerto de la Cruz as example here. 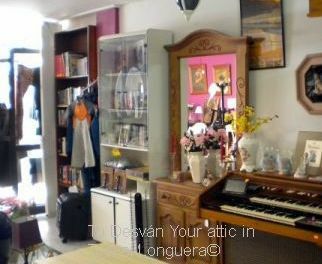 The amazing success of the Tenerife capital's Plenilunio in Spanish here.